The Kawartha Credit Union recently gave Hospice Lennox and Addington $1,000 from its Community Involvement Fund to support child and youth bereavement. In particular, the funding will help increase and restock mobile bereavement boxes available in the community to help youth dealing with grief and loss. 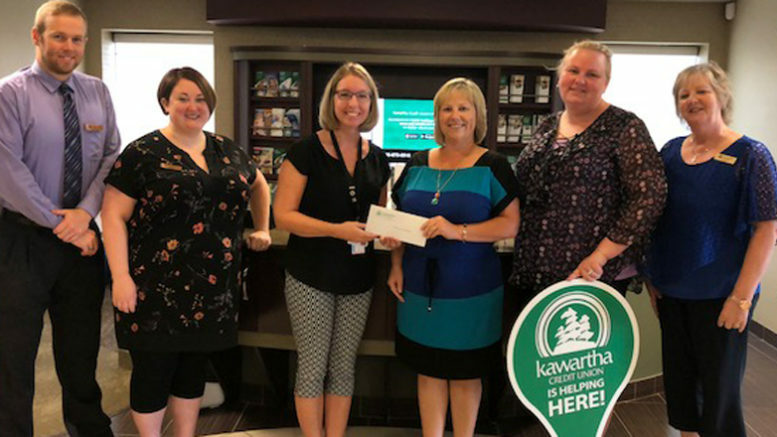 Hospice executive director Kim Sunstrum (third from left) receives the funding from Kawartha representatives (from left) Dawson Stone, Laura Smith, Cindy Kennelly, Brittany Richard, and Leona Risto. Submitted photo.